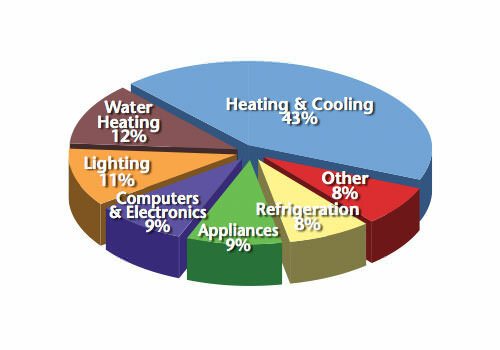 At a staggering 43%, heating & cooling expenses almost account for half of your utility costs. Dr. Energy Saver is your local heating and cooling company specializing in effective energy solutions for home energy systems in Virginia. Your home energy system is a complex environment, where one small upgrade can greatly influence how well your overall heating & cooling systems work and cost to operate. Contact us today for a free heating & cooling repair estimate and have one of our specialists transform your costly energy absorbing home into a more comfortable and affordable residency. Heating & cooling systems are constantly relied upon to keep home interiors at ideal room temperatures, the only problem is, it gets costly. Old and wasteful HVAC equipment installed in your home may be chewing up your monthly utility bills without your consent. Look no further for an HVAC contractor, our company offers fully warrantied solutions to Virginia residents throughout the Hampton Roads area. Our service area includes: Norfolk, Virginia Beach, Newport News, Chesapeake, Hampton, Williamsburg, Portsmouth, Suffolk, Gloucester, Yorktown, Seaford, Smithfield, Poquoson, Carrollton, Toano, Lanexa, Hayes, Gloucester Point, Barhamsville, Fort Eustis, Surry, Fort Monroe. Dr. Energy Saver will examine and evaluate your home heating & cooling systems. We properly service heating & cooling systems in Virginia home's to maximize home energy efficiency. Our company offers Free Estimates for all of our heating & cooling services including equipment repairs, replacements, and installations. 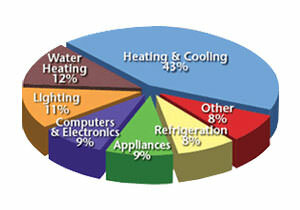 With new improved HVAC equipment, you can significantly cut heating & cooling costs in your Virginia home by 30%-50%. Contact us today by phone or visit us online to schedule a Free Estimate. On this episode of Tom & Larry's Excellent Home Energy Savings Show, Tom & Larry discuss how a hybrid dual-fuel system works and how it can help your home stay comfortable. Upgrading your heating & cooling systems to hybrid equipment will offer your home energy systems high-efficiency and high savings, while also being conscious of the environment! 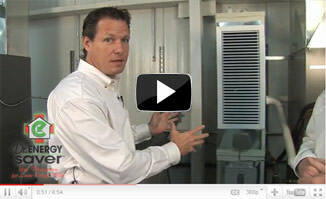 Your heating & cooling equipment is only as good as your home's ability to hold the conditioned air it dispenses. If your home has leaks in it's ductwork or leaks in the attic space or windows, your heating & cooling systems are wasting energy and your money. Think about it, if you have leaky ductwork in your home, the conditioned air from your HVAC equipment will escape through cracks and into unwanted areas of your home. Insulation is another important part of your home energy systems that can greatly affect the efficiency of your heating & cooling systems. If areas within your home are poorly insulated, that means the conditioned air directed to your living spaces have a short "shelf life". For example, on a warm summer day, poor insulation levels inadequately hold heat out of your home - that mean's your conditioned rooms won't be as comfortable and your air conditioner will have to work twice as hard. Essentially, better insulated homes put less demand on your HVAC systems, which increases the comfort of your home and reduces the costs to operate. 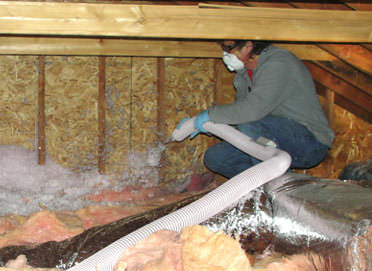 An energy efficient home that has good insulation levels and properly sealed air leaks will require a smaller heating & cooling system than that of a poorly insulated and air-leaky home. That's why these improvements are just as important to your energy system as upgraded efficient heating & cooling systems are to your home. Our service area includes Virginia Beach, Newport News, Norfolk, Williamsburg, Portsmouth, Hampton, Chesapeake, Yorktown, Gloucester, Suffolk, Seaford, Smithfield, Poquoson, Carrollton, Toano, Lanexa, Hayes, Gloucester Point, Barhamsville, Fort Eustis, Surry, Fort Monroe and their surrounding areas. Call 1-757-969-6004 or contact us online to schedule a free home inspection and heating and cooling repair estimate.